Avocado Vegetable Oil - Amphora Aromatics Ltd – Supplier of pure essential oils and aromatherapy Products. Native to Central Mexico, now cultivated in tropical countries across the world as well as in the Mediterranean. The fixed oil is obtained by the pressing and refinement of the flesh of the fruit. This removes the unpleasant odour often associated with the oil but retains all of the naturally good components. 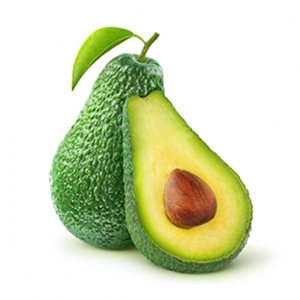 Avocado is a viscous oil which can make it slightly sticky when used in massage but it's worth persevering with as it does penetrate the skin very well and is packed full of naturally good stuff. It contains high amounts of Vitamins A, B & D as well as vital saturated and monounsaturated fatty acids and oleic and palmitic acids. It contains a natural antioxidant which is great for the skin and also helps Avocado to keep well. Indeed, it can be added to blends to extend their shelf life. It's particularly good for dry and wrinkled skin and is a good emollient so is great when skin needs softening and smoothing. It's often used in cases of eczema and psoriasis. Avocado can be blended with any essential oil. It may also be added to other blends to prevent them from going off.